Will battery storage revolutionise the farm renewables sector? 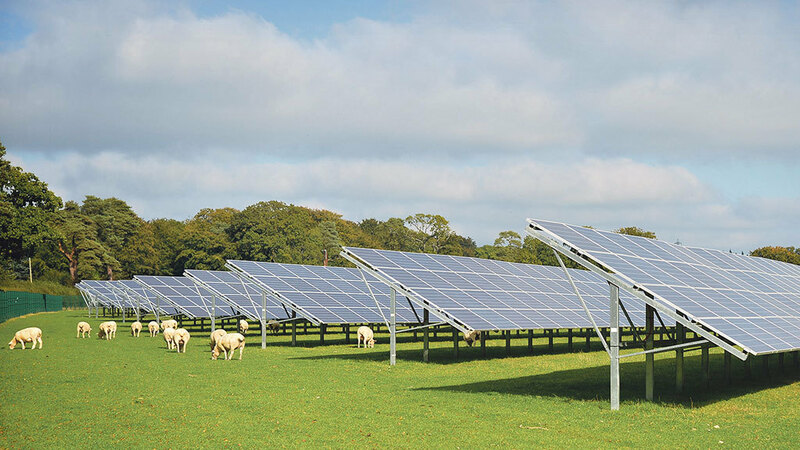 As renewables subsidies decrease, the focus has switched from generating an income to using the energy generated on-farm to offset rising energy bills. But what if you can’t use what you produce? Olivia Midgley reports. Farmers and landowners could be well placed to tap into the benefits of decentralised energy systems as the cost of the equipment falls, experts have said. Those with high onsite energy use have the potential to be at the forefront of the battery technology revolution with solar being the most complementary technology for battery storage. The opportunities available on-farm recently led NFU Scotland to host a special event offering expert advice on installation and funding as part of its Renewables Development Initiative (RDI) in Coupar Angus. Thomas McMcMillan,of Savills Smiths Gore, who co-ordinated the event, says: “We are on the cusp of them being commercially viable. Mr McMillan says the cost of the kit has reduced by about 50 per cent in the last three years ‘and the advancement in the technology is substantial’. It came as a new report published by KPMG and the Renewable Energy Association (REA) last week said the reduction in costs meant storage could become economically viable. The report highlighted recent technology innovation and production enhancements which meant the cost of solar power and wind power were falling rapidly. “The greatest cost reduction has been experienced by solar, and some forms of energy storage are expected to follow a similar cost reduction path,” the report says. REA chief executive Dr Nina Skorupska says: “This year is going to be the breakthrough year for energy storage and the growth of decentralised energy. The industry must draw a line under the turbulence of the past year and look to the future. The report states the continued growth of decentralised energy solutions could transform the British energy industry from a national energy market administered by Government, regulator and utilities, to one where local integrated energy solutions are determined by consumers, businesses and communities. “This is already underway, fuelled by the rapid penetration of distributed solar PV,” the report adds. The REA is now calling on the UK Government to remove regulatory barriers and introduce an energy storage definition in the current energy bill.